Do you have a family member or loved one with special needs? Are you tired of calling office after office and being told that your loved one cannot be seen because of their disability? Does your loved one have behavioral issues that prevent good oral hygiene and make dentist and doctor visits more stressful and difficult? At Appletree Dentistry, we take pride in caring for individuals with special needs. Dr. Scott T. Simpson has over eight years of clinical experience providing dental care for individuals with special needs including: Autism Spectrum Disorder, Cerebral Palsy, Down’s Syndrome, and Developmental Delay. In addition, he is also able to provide dental care for individuals with cognitive, emotional, mental, sensory, physical and developmental issues as well. Dr. Scott T. Simpson and his staff at Appletree Dentistry are trained to use a variety of behavioral techniques to serve their patients and are well-equipped and willing to provide care to all individuals with special needs. 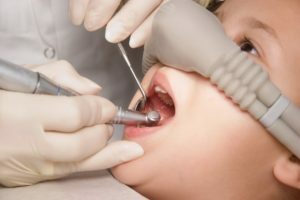 According to an article published by a University of Washington Oral Medicine Professor, one out of 2 individuals with a significant disability is not able to obtain the dental care they need. Who are dental patients with special needs? Elderly individuals who can require more frequent dental visits due to decreased pain sensations and certain medications. Individuals with mobility issues who require additional assistance attending dental appointments as well as moving in and out of the dental chair. Individuals with complex medical problems such as cardiovascular disease, diabetes, bleeding disorders, or any other condition that requires possible collaboration with a general health physician. What can be expected during a special needs appointment? Sometimes, knowing what is to be expected can make a dental appointment easier, and our staff will take special care to explain everything they are doing before they do it. During most dental appointments, we allow parents or caretakers to be in the room as a source of comfort for the patient. Although each dental appointment will vary depending on a patient’s individual needs, a general dental appointment usually goes as follows. The appointment will begin with an oral exam where Dr. Simpson will carefully evaluate the patient’s mouth, teeth, gums, jaw, and bite. Special tools such as a dental mirror, sickle probe, and light may be used to get a better look. Next, dental x-rays are usually taken by having the patient bite down on a small plastic disc. They usually only take a few minutes and will cause no discomfort. Patients will also receive a teeth cleaning. During a teeth cleaning, our dental hygienist will use a special tool called a scaler to gently scrape off excess plaque and tartar buildup. Then, a gritty toothpaste will be brushed onto the teeth to remove the finer pieces, and the teeth will be flossed to remove any deposits from between the teeth. Finally, the patient will rinse their mouth before having a fluoride treatment. 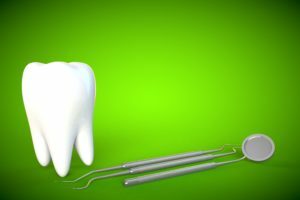 Fluoride treatment consists of a fluoride foam-filled tray that is inserted into the mouth and a final fluoride polish that is applied to the teeth. What methods of behavior management does Appletree Dentistry use? At times, behavior management may need to be used to ensure the safety of the patient and the dental staff. Dr. Scott T. Simpson and his staff are trained to apply gentle physical restraint as well as sedation dentistry. Appletree Dentistry never believes in tying down a patient to a dental chair. Inhaled sedation uses a special mask that fits over the patient’s nose to distribute a mixture of oxygen and nitrous oxide, or laughing gas. The gas is effective within minutes of being inhaled and will remain effective until it is no longer being inhaled. Nitrous oxide can be used for mild to moderate sedation and can make patients feel relaxed, drowsy, and even euphoric. Oral sedation is given through a pill about an hour before a procedure. It causes patients to feel drowsy and calm for approximately 1-2 hours while they undergo their procedure, and will gradually wear off after. Oral sedation can cause some patients to experience residual drowsiness for a day after their treatment. It can be used to achieve a mild or moderate level of sedation, depending on the dosage. IV sedation is medication that is received through the vein and is effective instantly. The degree of sedation can easily be controlled during the procedure and can range from mild to deep. IV sedation will take longer to wear off after the procedure and patients will usually experience drowsiness throughout the day.